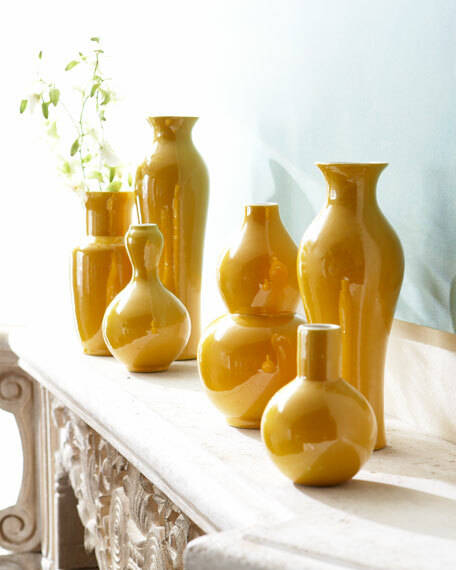 Grouped together or scattered about, these vibrant yellow vases add a splash of sunny color to any space. Imported. 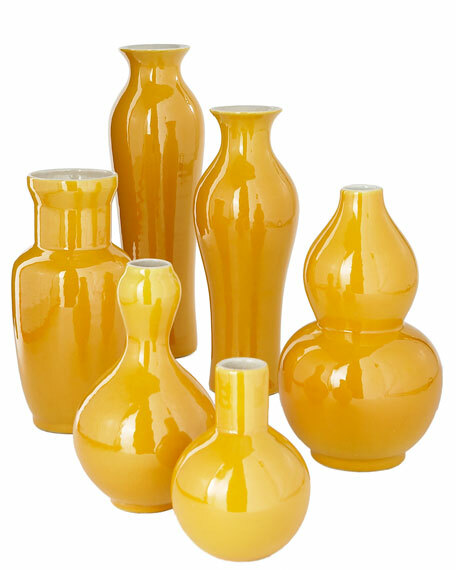 Made in Jingdezhen City, China, the world capital of porcelain, where porcelain has been produced for 2000 years. Listed from front to back, 4"Dia. x 5"T; 4"Dia. x 10"T; 5"Dia. x 9"T; 4.5"Dia. x 7"T; 4"Dia. x 12"T; 4"Dia. x 9"T.